It is That Time Again: The Annual NaBloPoMo!!! 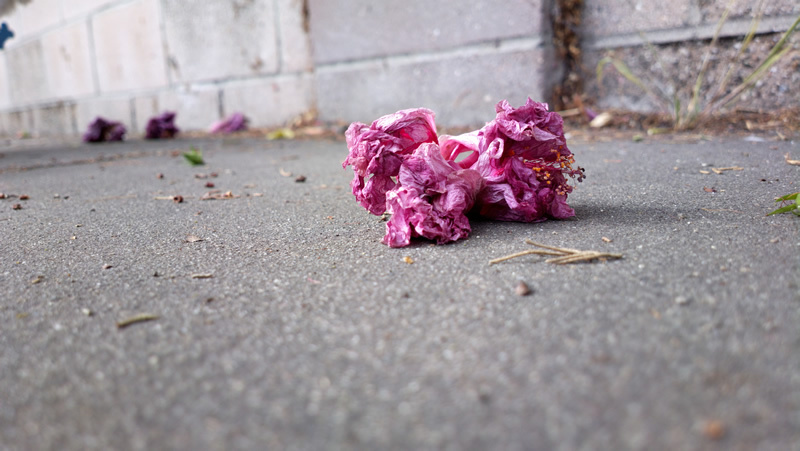 Posted November 1st, 2013 by Ms. Jen & filed under art + photography, writing + blogs. Yes folks, after you have said your “Rabbit Rabbit” and properly put on your All Saints Day / Día de Muertos attire*, it is time to start with the 9th annual November National Blog Posting Month! If you need a few reasons to blog daily, Eden Kennedy is here to help. I am going to do my very best to write out a text / typed post every day during November and a photo or photo/essay. I also have a backlog of photos** that need to be posted, including some awesome black and whites from the Nikon FM3a. * What?!?!? You aren’t dressed up as your favorite Saint or Día de Muertos’ figure today? ** Can I say Helsinki and the visit to Nokia House in July? Ummm… Why yes, those photos did fall down into the black hole that is my computer’s ‘Pictures’ folder! 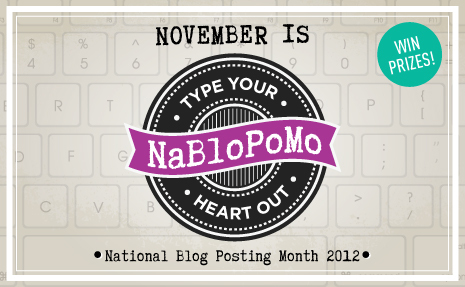 It is November 1st and it is NaBloPoMo again! Posted November 1st, 2012 by Ms. Jen & filed under Uncategorized. Yes, folks… depending on your persuasion November 1st could mean for you that it is rabbit rabbit rabbit time, All Saints Day, first day to start your mustache for Movember, or the start of National Blog Posting Month, or some other good thing. Here at Black Phoebe, I am going to do my best to blog away happily and jump start my daily blogging practice again. Yay! So here I am, blogging for blogging’s sake! Rather than tweeting for tweeting’s sake, of which I will do when I push publish on this post to encourage folks participate in NaBloPoMo. Posted November 20th, 2011 by Ms. Jen & filed under moleskine to mobile, tech + web dev. On Friday in the way of any good internet bunny trail, I found myself at the PySide website wondering what progress had been made with the Python port/binding for Qt since I last looked, downloaded, built and inspected to see if it was fit for my mobile application development purposes back in April/May (or more like was my skillset I ready for building the most recent stable version of PySide). In the first 20 minutes of traipsing down Python and Qt based bunny trails on Friday afternoon, I found myself in raptures of happiness, as it appeared to my eyes and reading comprehension that Nokia had taken on the PySide project and was moving forward with it as a legitimate wing of Qt. I was so excited that I called a non-technology-working friend and gushed about it to her (sorry). The major reason that I love both Python and Qt Quick/QML is that the code is by and large minimal and declarative but gets the job done powerfully without excessive grammar, wordiness, and very little punctuation, which makes my minimalist loving self happy happy happy. The very idea of Python + Qt Quick sounded too deliciously good to be true. And it appears that after some months of Nokia dedicating employees to making PySide a robust binding for Qt and Qt Quick, that Nokia is now un-dedicating said employees and will be decommissioning their involvement in PySide to an add-on for Qt. My hopes were crushed in less than two hours. Up in happiness of the possible perfect pairing of my favorite programming/scripting language with my favorite mobile framework, only to fall down the rocks of despair and sadness that so much potential was so fast dissipated. Matti Airas the Nokia python guru on the PySide project does write in this email that he does see a future for PySide and mobile as an add-on for Qt in the community separate from Nokia. Here’s to hoping that he is right. Further hopes go to Python catching on as a good option to the various C languages and Java for mobile app development. And here’s to hoping that PySide folks will be at Qt Dev Days next week. Update from Wed 11.23.11 – Just to clarify, this post is for NaBloPoMo and is my joke on / to myself about moderating my enthusiasms in a world where the funding of technology projects is driven by management stratagems & quarterly profits, as I get so excited upon finding out a technology has finally reached the point that it will be useful and then, in this case, less than an hour or two later after searching for more info I find out that the project has been discontinued. Posted November 10th, 2011 by Ms. Jen & filed under writing + blogs. While tech pundits love love love to proclaim the DEATH of [insertwhateverissupposedlydeadthisweek], as a way to have something to write / talk about or as a way to drive traffic to their blog, the majority of the users on the web continue to ignore that [insert name of] is dead and continue to use it or they have never understood how to use and don’t as a result. If you have a blog, your blogging software most likely provides a subscription feed, be it RSS or Atom, or you subscribe to a service like Feedburner which produces a feed of which you can then track the statistics on. Depending on your blog and readers, folks may find your subscription feed(s) easily and use it or they are baffled by how to use it or are indifferent. Some bloggers have actively pushed an email or twitter subscription as an alternative to their RSS or Atom feeds. I have now been blogging for 8.5 years here at BlackPhoebe.com and my logs show me that I have more folks accessing my feeds (RSS & Atom) than Google Analytics says I have regular returners who access the blog via a direct link. The grand majority of the folks who subscribe to one of the RSS or Atom feeds to this blog and don’t use the Feedburner one. Other bloggers may have a different experience, but I write from mine. As a regular reader of blogs via their feeds*, it drives me nuts when a blog I like changes their feed URL with no warning. Much of the time it is when a blogger changes from one blogging CMS to another and in the stress of the move doesn’t think about how the change in feed URLs will affect their feed subscribers, or other times it is during a redesign or a big re-arrangement of files and blogging structure. Regardless of how the feed URL gets changed, I would like to encourage all the bloggers using a CMS that generates a subscription feed to pre-think any architectural changes and warn your readers before it happens, as well as keeping the old feed open for at least 2 weeks after the move/redesign/cleaning/change with a last post on the feed that tells folks where to find the new feed URL. Be kind to your faithful readers. * I am a fan of Sage light RSS feedreader Add-on for Firefox. Happy 8th Birthday to Scruffy! Posted November 7th, 2011 by Ms. Jen & filed under fun stuff. 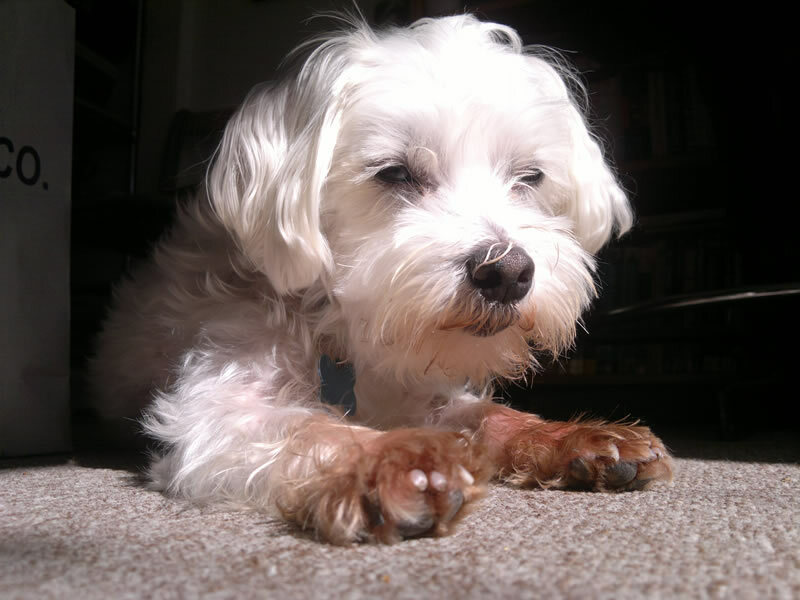 Mon 11.07.11 – Eight years ago today, somewhere in North Carolina, Scruffy McDoglet was born as the runt of a litter maltese puppies. He has turned out to be a great dog. Photo of Scruffy McDoglet taken by Ms. Jen two days ago with her Nokia N8.